I ordered medium height windshield so the one it came with has to go. I bought a new stx-dx 137 yesterday, so yes, the windshield is in perfect condition. I'm keeping the mirrors, as I'm hoping they fit properly on the smaller windshield. 'tis the season, this is a brand new tall windshield for a Viper. Bump again. 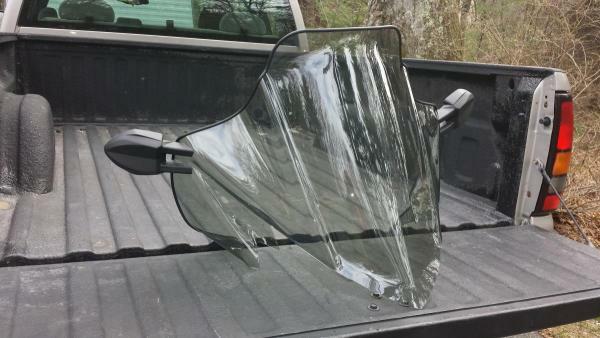 Now selling this Viper tall windshield with mirrors. These are new and never used. I removed them the day of purchase last spring. Tall windshield part number: SMA-8JP96-30-00 lists for $102. Mirrors I've seen for anywhere from $75-$125 for the pair.